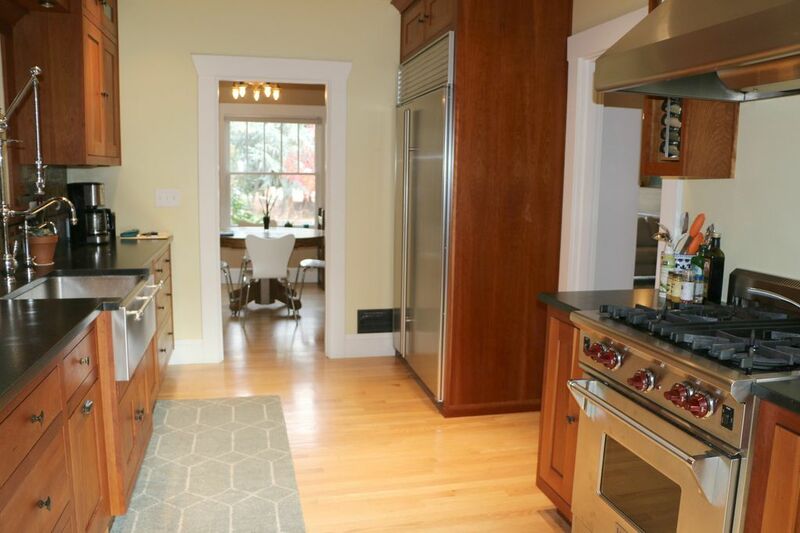 Welcome to the Fulton Bungalow, a cheerful, artistic space, close to everything Portland offers. Enjoy Roku TV/high speed internet/wifi and 5 minutes proximity to downtown. Newly permitted for short-term stays! Relax in the impeccable and private yard with beautiful garden and bike shed. Bright and fully-stocked gourmet kitchen with high-end wolf/sub-zero appliances. John's landing is Portland's maritime district and best kept secret. It is very walkable. You are a few blocks to Willamette Park and the River Greenway - bring your kayaks! There are many hot-spot restaurants, shops, spas and cafes in walking distance including Jola Cafe, Corbett Fish House, Elephants on Corbett, McMenamins Fulton House Pub (a locals favorite! ), Zupans, Fred Meyers - and more! Jump on your bike and head over the bridge to Sellwood. Really anything you need is a hop-skip-jump away - climbing gym, day spa, liquor store, wine store, doggie daycare, pet store, Indian/Thai/Japanese takeout and more. Respectful and conscientious renters only please who would respect our neighbors and this amazing neighborhood. Well-behaved pet negotiable but upon approval by owners. No smoking/vaping. Your co-host lives in the lower-level apartment with a completely separate entrance. Guest have the entire house except for the finished basement with its separate entrance, which is occupied by the owner's co-host. Owner Host lives full-time in Bend, Oregon. Your co-host is available if anything is needed but your desire for privacy is always respected.